1.In the developed countries LED light curing machine has become popular in Europe and Americal, it has approved the reliability in the light curing area. 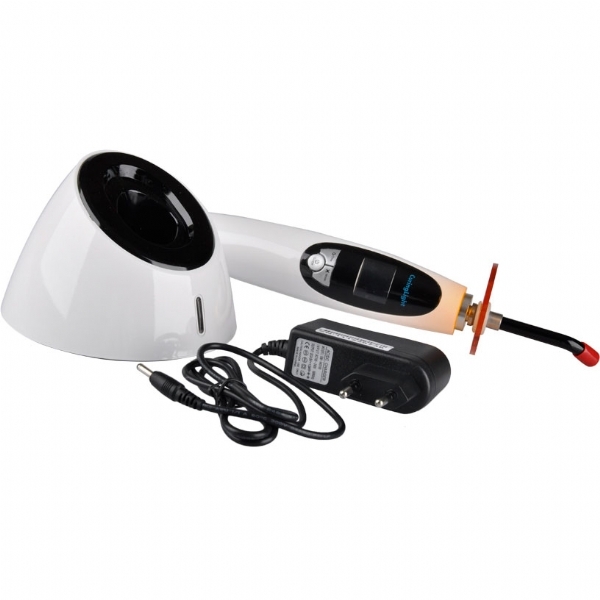 Now there have the wire & wireless light curing machine in China, and it has confirmed the blank of national. 2.This instrument imported LED, blue high brightness sensitive, it can cure the resin which the wavelength of 420-480nm, and used to repair the teeth in the department of stomatology. 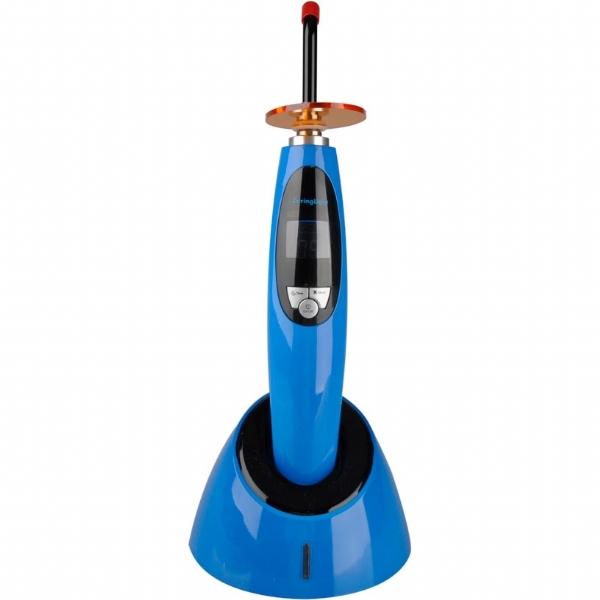 3.It use the high capacity lithium ion charging battery, it can be used about 150-200 times when it full of power. 4.It has the intelligent battery check the circuit, when the electric is low, it will alarm and the light will flashing. Cord/cordless unchangeable when running out of the battery, the unit can be operated directly with the switching power adapter. Automatically memorize the latest used working model and time. 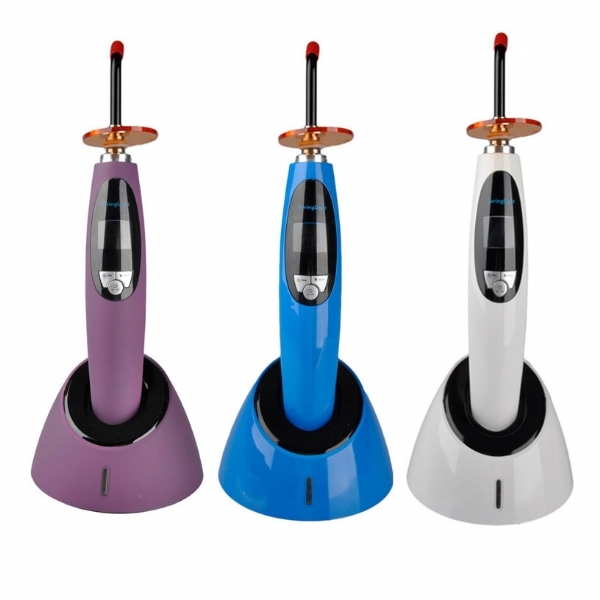 The machine should be used for light curing and whitening. Whitening function: press the mode 3S to enter the whitening mode, then it will be flicker, at the same time, the LCD screen show with minute, the time key can move the time up and down, you can chose the time from 0min to 30min by yourself, if press the time-key for a long time, the light intensity will be increase by degrees or descending with 20%. 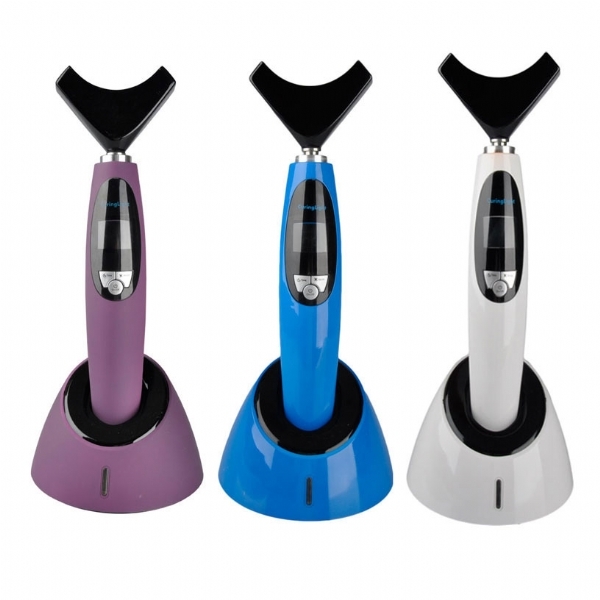 This led curing light can be supplied with OEM purpose.